Trooper Eric Chrisman was killed in a vehicle crash on the US Route 62 near the Tennessee River Bridge in Livingston County at 5:48 pm. He was responding to a reckless driver complaint when his vehicle failed to negotiate a curve and crossed into the path of an oncoming tractor trailer. 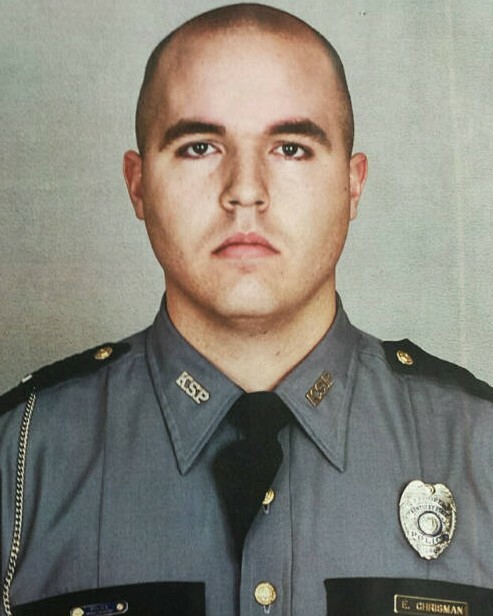 Trooper Chrisman's vehicle was struck on the driver's side, causing him to suffer fatal injuries. 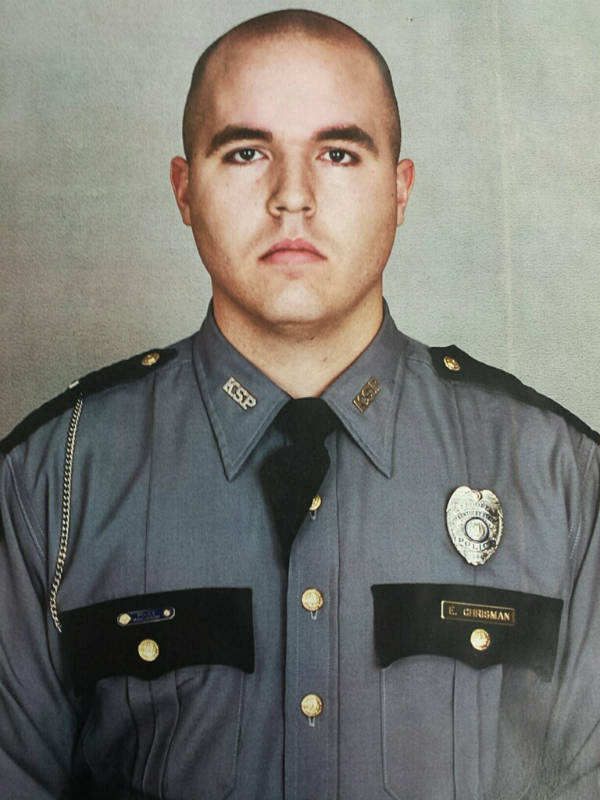 Trooper Chrisman had served with the Kentucky State Police for only six months. I live right next to your resting place. I went to school with this man. Our community still mourns for your passing a memorial flag has been put up in the cemetery in your honor. Thin Blue Line, rest in peace.